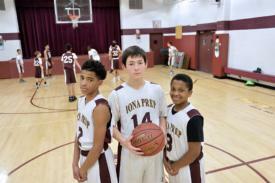 Iona Preparatory Lower School offers Westchester County’s only, PK-4-8, all-boys Catholic program. 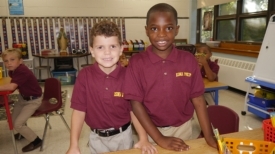 Instilling the values and discipline of the Christian Brothers, Iona Prep builds moral character and offers a seamless educational program where students can begin their college-preparatory journey in a Catholic environment starting from prekindergarten at age 4. The initial construction phase of Iona Preparatory’s successful $10 million Centennial Campaign for Excellence, the recent Devlin Library renovation included technology and design upgrades, as well as the brand-new “makerspace” to enrich Project Based Learning. Makerspaces are at the forefront of teaching and learning, providing a collaborative workspace for students to explore their interests, become innovators, and solve problems creatively. Project Based Learning, meanwhile, is a teaching method in which students gain knowledge and skills by working for an extended period of time to investigate and respond to complex challenges. For example, seventh-graders recently took part in the Iron Giraffe Challenge, coming up with creative new ways to advocate and fundraise for water in South Sudan. 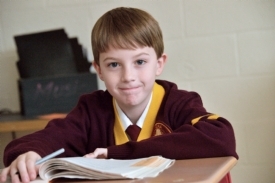 An Iona Preparatory education is one of the best investments you can make for your son’s development, providing an all-boys environment that allows faculty to cater to the needs and interests of boys and actively engage them in learning. Class sizes average 15 students, ensuring that each boy receives the care and attention he deserves. A well-rounded program promotes the harmonious growth of the whole person, fosters the development of higher-order thinking, and prepares students for lifelong learning. The Lower School offers a challenging academic program in a nurturing environment that assists boys in reaching their full potential. Spiritual development begins as early as prekindergarten as the Lower School’s Campus Ministry and service programs promote care and concern for others with the school, the New Rochelle community and the greater world. The Lower School also offers a smooth transition to the Upper School for grades 9-12. Selecting a school is one of the most important decisions that a family will ever make. It’s an investment for a lifetime. 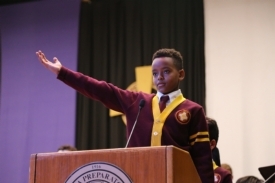 An Iona Preparatory Lower School foundation is one that reaps dividends for life. Iona Preparatory Lower School is located at 173 Stratton Rd. New Rochelle, NY 10804. For information, please call (914) 633-7744 Ext. 418, or register online below.